Thank you to our partners, sponsors and grantors for making the 2018 Maverick Reception a success! The evening's highlights included an inspired fireside chat with Jon Antevy and Ron Antevy, co-founders of e-Builder. 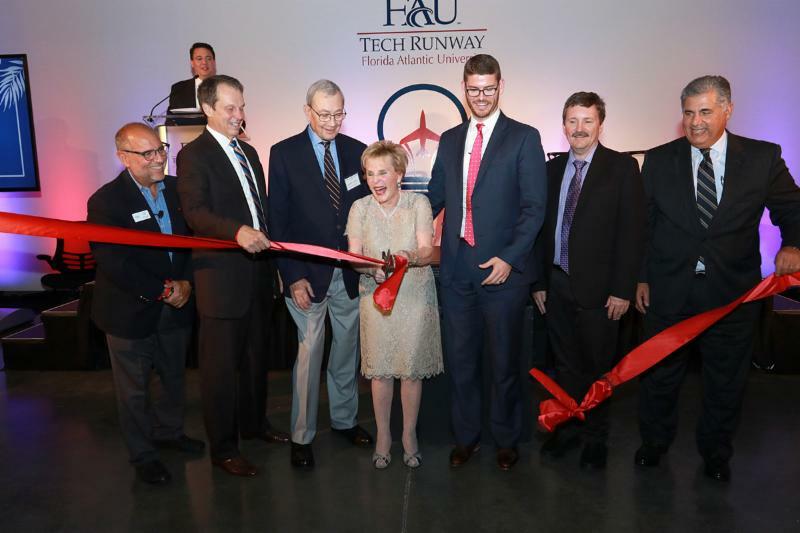 In addition, FAU Tech Runway presented the second annual Maverick Reception Awards to individuals who are making outstanding contributions to South Florida's entrepreneurial community. 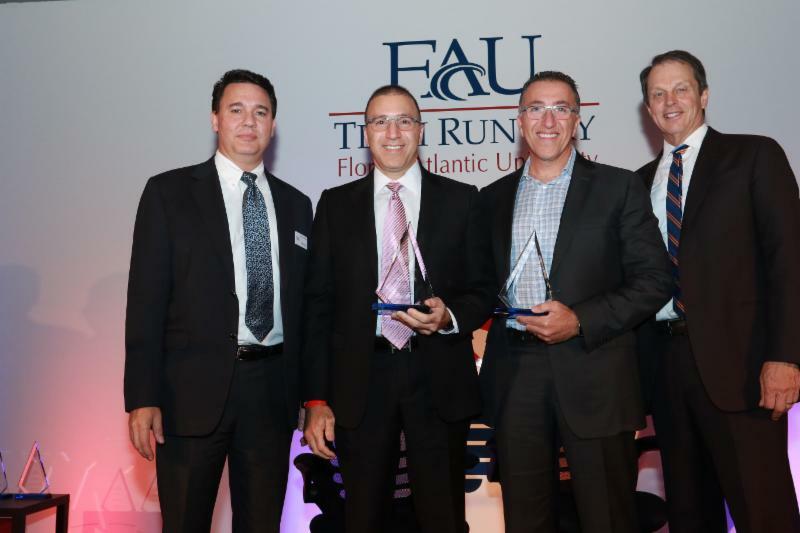 The Maverick Mentor of the Year Award was given to Neil Katz, an FAU Tech Runway mentor board member, for his boundless dedication to the Mentoring Program. The Maverick Venture of the Year Award was given to Carly Asher Yoost, co-founder of Child Rescue Coalition and Venture Class 3 alumna, for her outstanding entrepreneurial accomplishments. The Maverick Award for Entrepreneurial Achievement was given to Jon Antevy and Ron Antevy, co-founders of e-Builder, in recognition of their exceptional contributions to Florida's entrepreneurial eco-system. Thank you again to all those who attended. 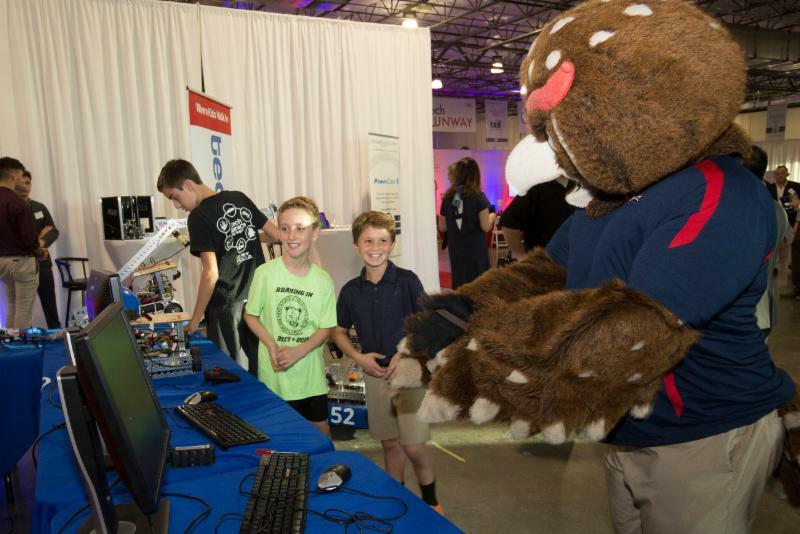 With your generosity FAU Tech Runway is empowering the next generation of global entrepreneurs. AUTM and the National Council of Entrepreneurial Tech Transfer have partnered for Pitch and Play - AUTM Venture Challenge at the 2019 Annual Meeting in Austin, Texas. The competition provides academic-affiliated startup companies the chance to pitch their business ideas to a panel of seasoned venture investors for a $10,000 cash prize.